Our event in Bluffton was great despite the fact that we had light rain during most of the event. 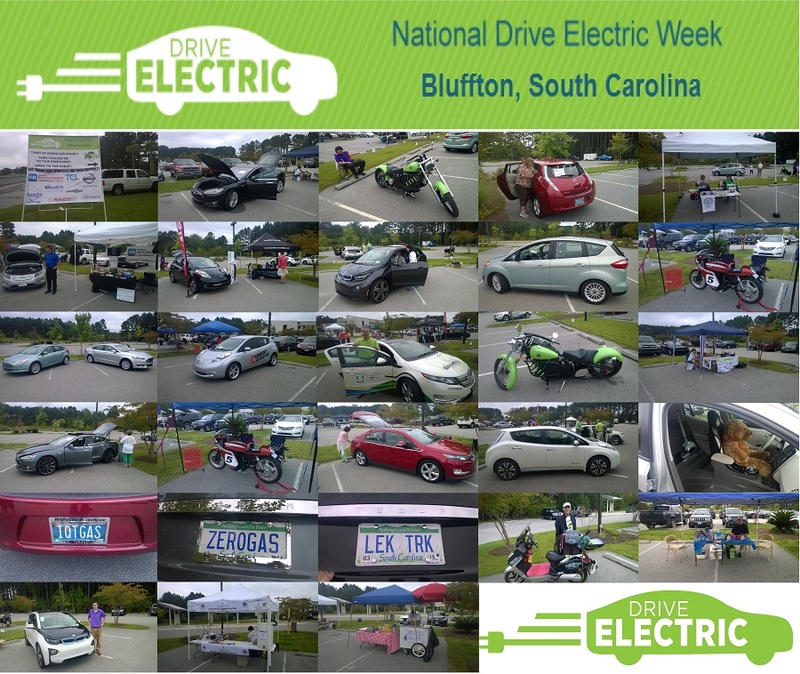 The Mayor of Bluffton, South Carolina opened our event and talked with all of the electric vehicle owners and had an exciting test ride in a Tesla Model S. The rain kept a lot of people inside and we only had about 50 people at our event. At least 4 couples of the 7 who had taken test rides/drives stated that they were planning on buying electric vehicles this year. About three hours after our event in Bluffton on 9/12/2015 my wife and I drove our 2013 Nissan LEAF to the local hospital where 7 hours later on 9/13/2015 our new son Conor Alexander Epps was born. On Tuesday 9/15/2015 my son Conor had his first ride in an electric car after being born as we brought our new bundle of joy home. Both Mommy and Baby are doing just great. Then come to our local National Drive Electric Week event to learn about the benefits of driving all electric and plug in hybrid electric vehicles. Registered attendees report 156,080 electric miles driven.